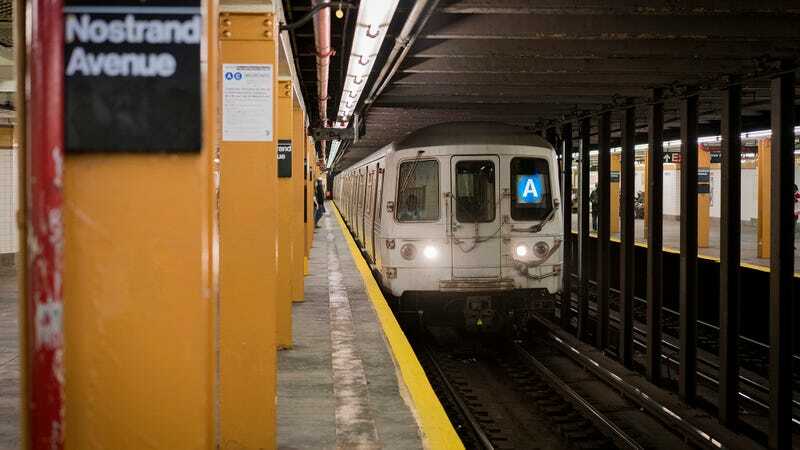 NEW YORK—Championing the decision as a necessary step to make the “Big Apple” more tech-friendly, New York City mayor Bill de Blasio announced Tuesday that the subway is just for Amazon employees now. “All 8.6 million New York City residents not employed by Amazon or an Amazon subsidiary are prohibited from using MTA trains, effective immediately,” said de Blasio, adding that the transit system’s 27 subway lines will now exclusively serve as shuttles for the roughly 25,000 Amazon employees to commute through the five boroughs. “If you enter a subway station and cannot prove you work for Jeff Bezos, you will be arrested. If you insist on getting around New York, you can take the bus so long as you’re not planning on transferring to the train later. I think the easiest thing residents can do in lieu of the taking the subway is to drive to their destination and park nearby.” At press time, the mayor had ordered all inhabitants of Manhattan, Queens, the Bronx, Staten Island, and Brooklyn to vacate their homes to make room for several new private communities for Amazon workers.